Twelve people saved by a fishing boat in the Mediterranean on Friday remain stranded at sea. Humanitarian alliance #United4Med on Tuesday called on Europe to open its ports and welcome the migrants who were saved from a vessel off Libya. Spanish Foreign Minister Josep Borrell said that Italy and Malta have rejected taking the trawler in because the rescue took place in Libyan territorial waters. 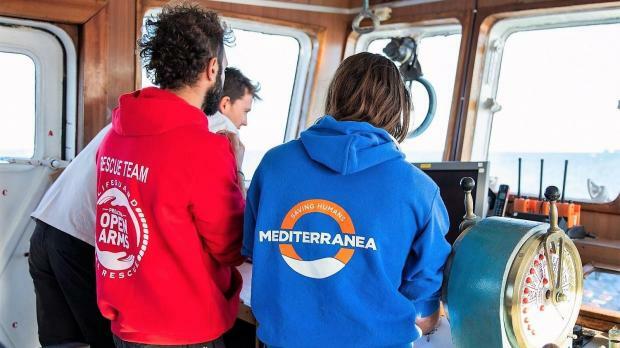 #United4Med, which incorporates Open Arms, Sea Watch and Mediterranea, said the people were rescued by the fishing boat Nuestra Madre de Loreto and Spain was currently negotiating their return with Libya. The organisations condemned the negotiations and said their return would be a violation of international law and a further step towards neglecting human rights and dignity at sea. Libya is not a safe harbour and never signed the Geneva Convention on Refugees status. The European Union and its member states have the obligation to not authorise the disembarkation of people in a country where there have been repeated systematic violations of human rights, torture and trafficking of people," the alliance said. The UNHCR had also issued a non-return advisory for Libya, which together with Yemen are considered as countries where vulnerable people could not be returned. The #United4Med alliance said it believed the Spanish government should ask Italy and Malta to open their ports and comply with international conventions, which all three countries had signed. In addition, all governments should defend the right to life instead of blaming those who defended it. “We demand that the situation of Nuestra Madre de Loreto will be solved as quickly as possible for the safety and wellbeing of the rescued people and the crew. Meanwhile, the Maltese government issued a statement saying another group of migrants who disembarked in Malta from aboard the Aquarius and other vessels in August had departed Malta for relocation in Germany on Monday. In August, the Aquarius was allowed into Malta to disembark 141 migrants after it had been stranded for four days at sea. A similar deal was struck in September ending another migrant saga at sea with 58 migrants and a dog disembarking in Malta. 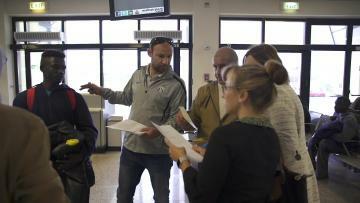 The migrants were assisted by local authorities, the International Organisation for Migration, and officials from the Embassy of Germany in Malta. All of the relocation processes, the result of different agreements between the Prime Minister and other countries, were to be concluded shortly, the government said.